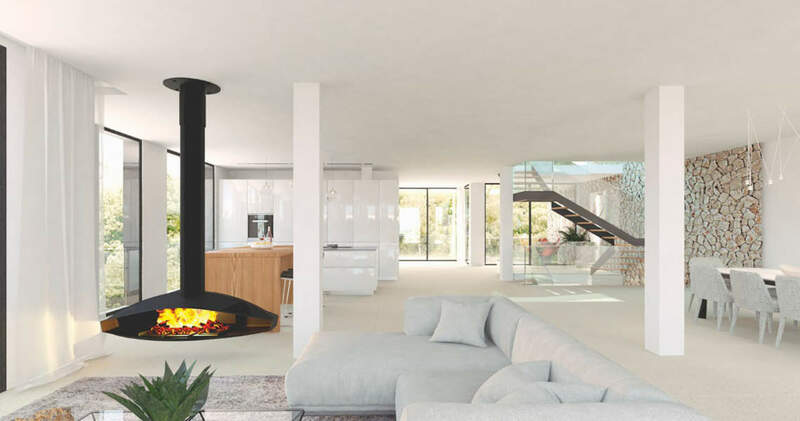 Presently under construction in a sought-after residential area, this luxury property combining modern and Mediterranean architecture boasts stunning views over the bay of Santa Ponsa. The good network of roads means that the town centre is close by and the numerous golf courses, yacht marinas and beaches that are spread throughout the region between Palma and Andratx are all a maximum of just 25 mins away by car. The entrance level sets the tone for the house with an impressive wine room and a fitness area, plus three bedrooms, one en suite, and two that share a bathroom, and direct access to the double garage. 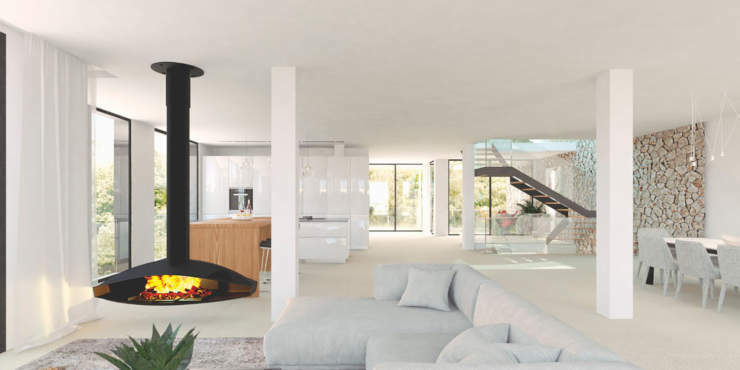 Upstairs is an open plan design comprises living /dining area with fireplace, and access to a terrace, plus a brand name kitchen (Leicht.) The master en suite bedroom with dressing room as well as a study, a fourth bathroom and utility room, complete the room plan. The crowning glory is the fantastic roof terrace with BBQ area, jacuzzi and the downstairs terrace and beautiful pool all surrounded by Mediterranean vegetation which underline the type of lifestyle this property has to offer.